Large Snowman says he likes the weather here. -Arnprior, Friday, January 22, 2010. 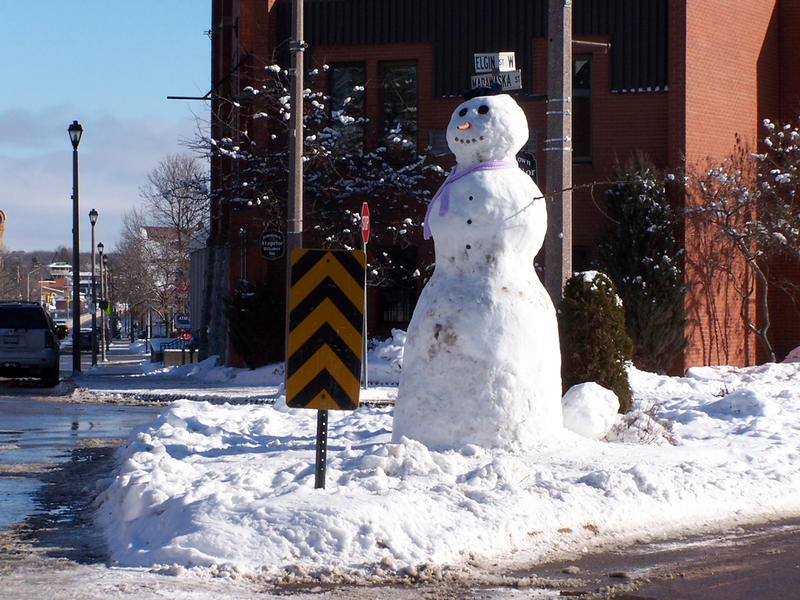 A very tall visitor to Arnprior didn’t say much, but when asked, “Is it cold enough for you?” He did respond with a broad smile. Our roving photographer caught the visitor on the corner of Elgin And Madawaska Streets, with the Town Hall in the background.